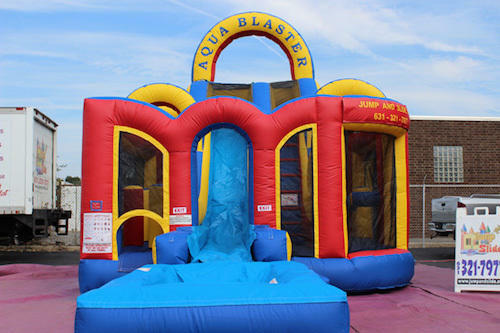 Our Aqua Blaster Course gives the kids everything they are looking for and more. Kids start out by racing and navigating through the field of pop up obstacles, and then they plunge forward through the tunnel slide. As they get up, it’s not over as they still have to dodge through more obstacles. Finally, they proceed up the stairs and race down the slide. CAN BE USED WET OR DRY.If used dry need to order foam blocks!